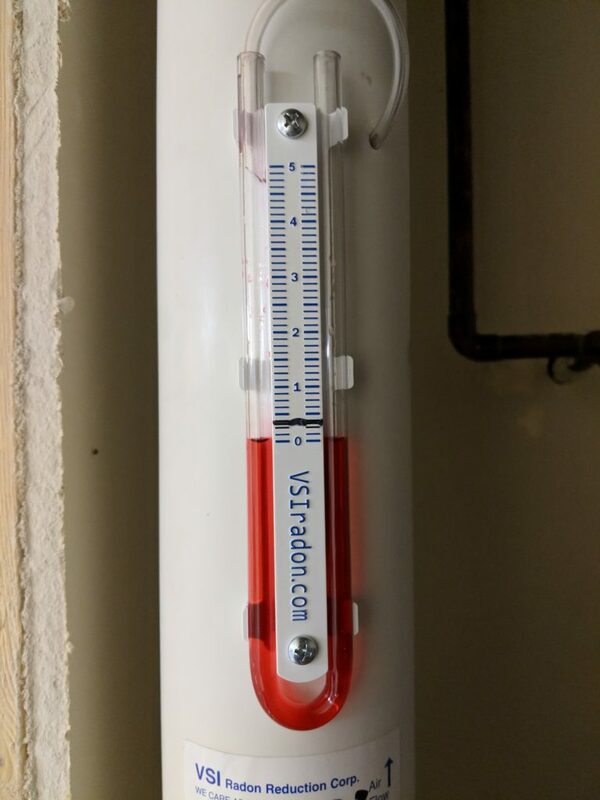 U-tubes reading zero during cold periods is an unfortunate but common occurrence with outside radon mitigation systems. 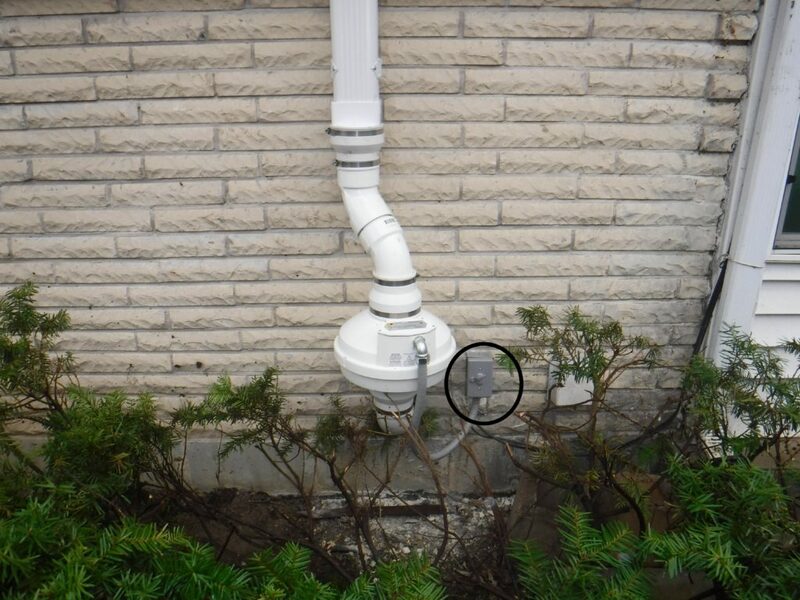 Radon systems remove moisture from the soil below the home in the process of removing radon. The moisture condensates on the inside of the exhaust pipe when the moist air meets a cold surface. Under very cold conditions usually outdoor temperatures below 5 deg Fahrenheit the condensation can cause ice to buildup inside the exhaust and cause blockage. The u-tube manometer will be zero even though the fan can be heard running. This is a temporary condition that will clear itself on its own. In most cases temperatures for two or more days in the 20’s will correct the problem. There is currently no industry-recognized way to prevent this from happening and the increased radon exposure during this time is minimal considering that the system reduced the radon in the soil prior to the occurrence. 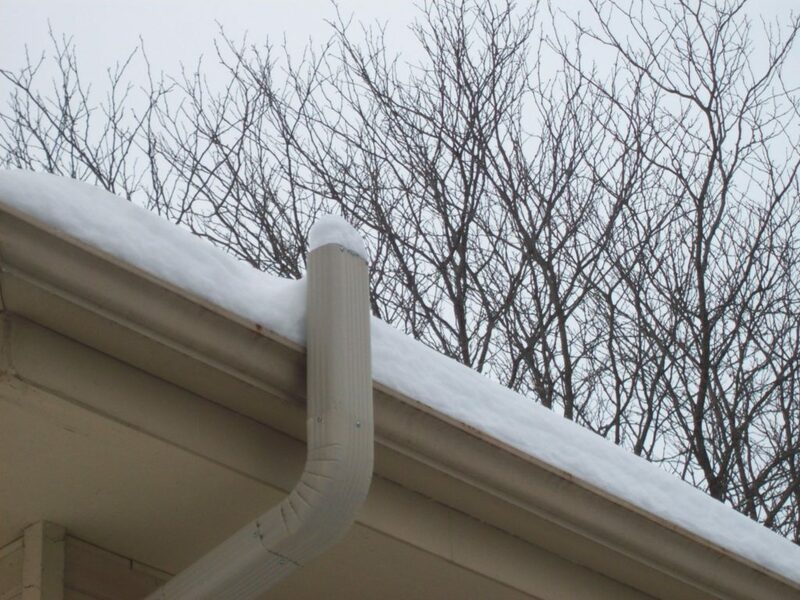 Ice on top of exhaust is common with frozen systems. Your fan could be burned out. 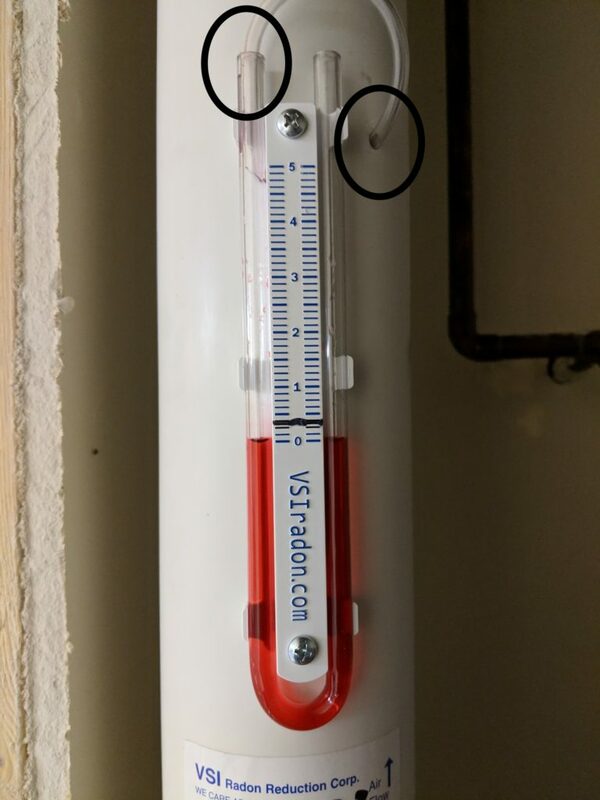 If it is a warm sunny day and the U-tube manometer is equal, then it is possible that the fan has burned out. There are a few things to check prior to calling you can do to troubleshoot the system. Make sure the the plastic tube is inserted in the top of the manometer and in the pipe. 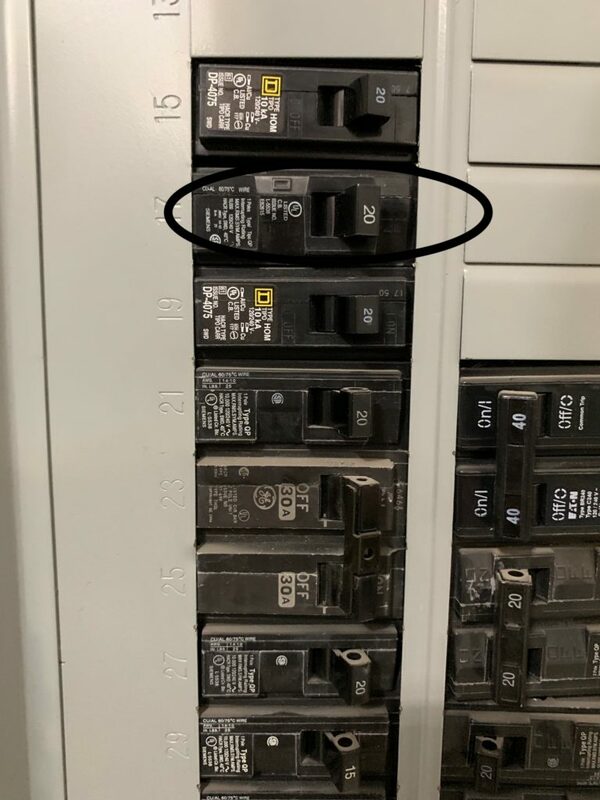 Make sure the breaker is in the on position and hasn’t tripped. The breaker number should be labeled on an oval sticker on the panel door. If the fan is mounted on the outside of the home, makes sure the switch is in the on position. Sometimes the switch can accidentally be turned off. If all of the steps are complete and the gauge is still even, then call for service.